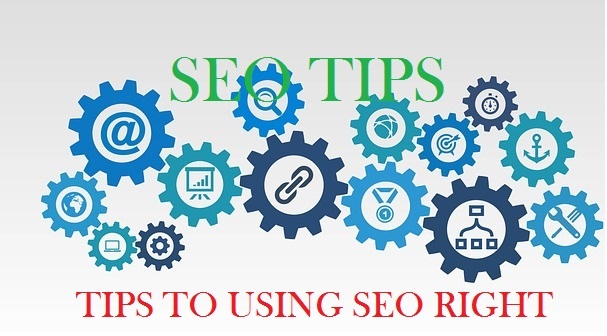 It is one thing implementing SEO on your site and it is entirely a different thing using it well. Many site owners, bloggers and publishers are greatly concerned about optimizing their sites that they end up not optimizing it at all (Confusing right?... ), I will explain in the article. Although this is a very important way of driving great organic traffic to a website or blog, it must be used in the right way to yield the expected or anticipated result. That been said, let’s look at the tips that will help you make your pages search engine friendly. Making your content appealing both for users and search engines and thus, both readability and the ability of search engines to crawl your website easily should be taken care of in one step. Testing your site’s links and fixing the broken links to minimize errors in the pages of your blog or website. Accelerated Mobile Pages (AMP) may also be relevant to your site and Google seems to prefer the pages that start using it. Since they are one of the biggest (in my opinion the biggest) in getting organic traffic, it won’t hurt to use their products. Navigating your website should not be a thing your visitors should struggle to do. As I earlier mentioned, you should make easy navigation on your website a top priority. Optimization of pages for fast loading speed is crucial, so don’t forget testing it from time to time. There is always a reason that your site gets slow. Reducing the weight of your images and removing unnecessary scripts will make your pages load faster. For bloggers, choosing a blogging niche will play a very crucial role in the type of keywords you will use on your site. This is because your site description will probably tell search engines what your blog is all about and they will have an idea of what to look for when crawling your site. So make sure you choose a niche that is right for you to begin with. For example, if you are blogging about cooking, you should know that there are other words such as recipe, coking hack, etc that people will look for. This means that you have to research so as you can get the words that are associated to it and include them in your posts (remember not to use too many keywords on the same page). There are tools out there that you can use to plan your keywords such as Google Keyword Planner, ubersuggest.io, moz.com and many more. To the surprise of many, it is established that search engines focus on the actual content rather than its optimization. You should monitor your keywords, the site’s stats, the levels of engagement on each topic and find what your users really want or expect from your page as this will be s great factor in keeping your readers. You should always think of new ideas to expand your content or even to invest in evergreen content, and make sure you think like a reader, rather than a search engine. You should not spend more time on the optimizing your content if it is not appealing enough for your audience. Most people make the mistake of choosing keywords because during their research, they found out that has high volume. It may break your heart to know that you will NEVER get traffic on some key words. For instance, you choose “Gmail” as a key word you can see that it has thousands of searches per month but probably 97% of people who search for it either want to create a Gmail account or login into their existing account. That should tell you that at least, the first 7 search results will come from Google themselves and your page may end up in the second or third page of the search result. You see yourself getting any clicks from there? I don’t think so. Google bots have evolved and can detect if your content is only made for them. Remember that your work will be viewed and used by living human being not robots. Google can penalize you if your pages do not have content to add value to humans but is only aimed at getting search traffic. Don’t just create quality content, take time to know your audience so you can create the content that will be useful to them and I bet you will have more chances to be ranked higher in the search results for the relevant queries. Examining your existing content and find the most popular topics to seeing the ones viewed more and the most commented topics. Getting organic traffic if important, SEO can help but remember; do not overstuff pages with one key word, write quality content, choose the right keywords, and research before writing. Now that you know how best to optimize your website, you can learn how to start a blog and employ the guild on it. You can leave a comment below and you will be attended to if it is a question.